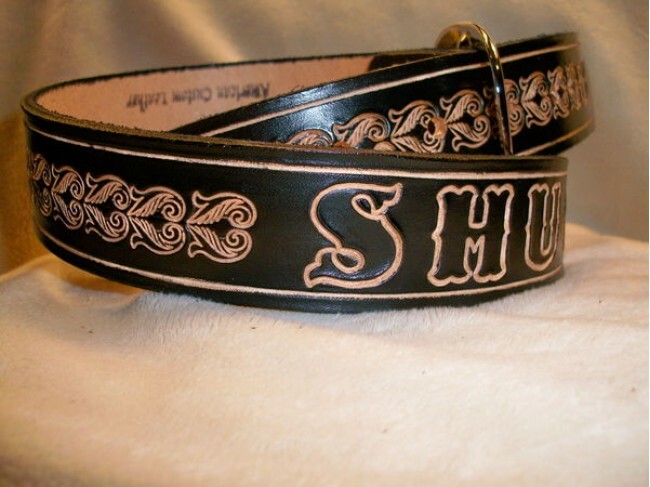 This belt comes with a twin paisley pattern down the center, with the natural leather showing through the tooling. Shown in 1 1/2" Mahogany. Belt Length --- Please Select --- 24" 26" 28" 30" 32" 34" 36" 38" 40" 42" 44" 46" 48" 50" 52"